Such is the case, especially when it comes to proactive home maintenance. This would most certainly be applicable when it comes to defective paint in the interior and/or the exterior of your property. The Commonwealth of Massachusetts de-minimus laws allows up to 10 square feet of defective paint on the exterior, and up to 2 square feet of defective paint on the interior which you can treat yourself with either low risk or moderate risk training. These levels are cumulative on the exterior and the interior. Any amount which exceeds these levels must be abated by High risk lead abatement contractors. It is always better to assume to assume your property contains lead and treat the defective areas accordingly. Ultimately it is best to follow safe work practices per Renovation, Repair and Painting (RRP) regulations which is enforced by EPA. Remember, even though you may have a Letter of Compliance (LOC), this doesn’t mean your property is lead free, only that it was in compliance with the lead laws that were in place at the time your LOC was issued. So if you pay a little more attention towards proactive maintenance now, don’t let defective paint get above di-minimus levels, you will eliminate much expense and headache in the future. (SEE State Sanitary Code 105 CMR 460). 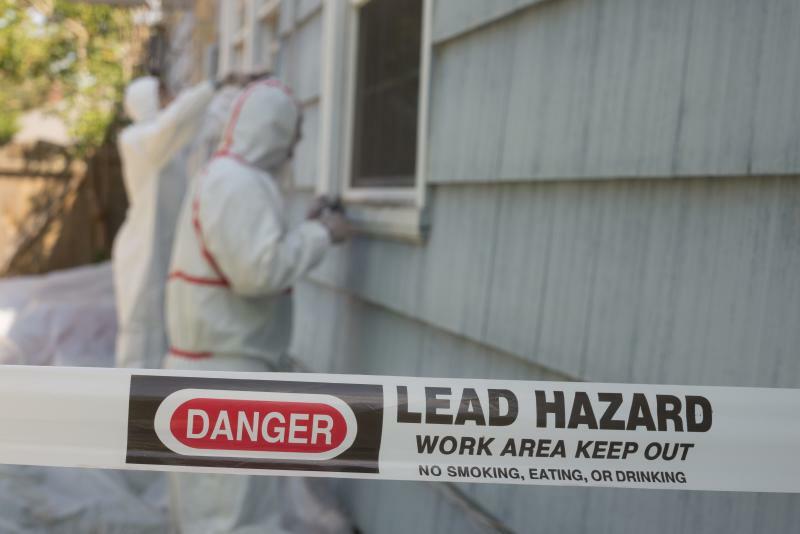 At Way Finders we have programs like Get the Lead Out designed to provide low-cost financing to owners of 1-4 family properties to remove hazardous lead paint from their homes and reduce the possibility of lead poisoning in children.